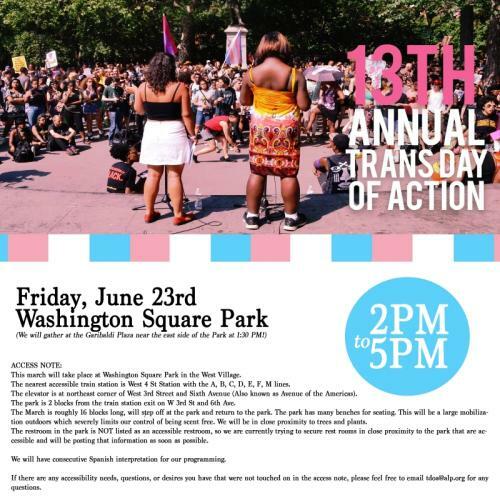 Happy Trans Day of Action! Roughly six years ago while marching in the streets of Manhattan at the Trans Day of Action march, the idea of Trans Justice Funding Project was born! The birthplace of TJFP! We know it takes an incredible amount of love and work to bring our people together to create sites of inspiration. We are so grateful for everyone, everywhere fighting and surviving each day. 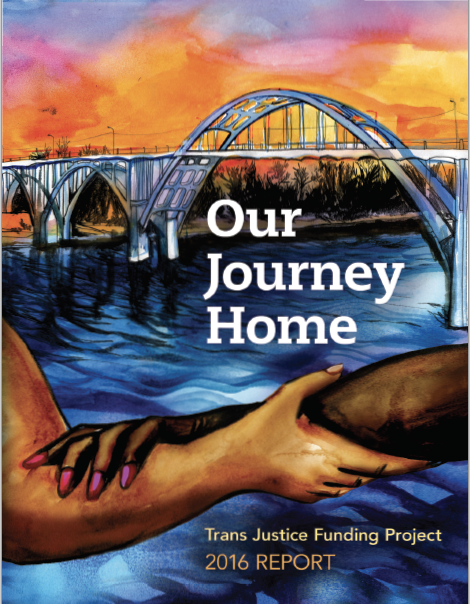 Feel free to look for the Trans Justice Funding Project banner today and join us! Comments Off on Happy Trans Day of Action! Our Journey Home, The TJFP 2016 Annual Report is out! Check out the ONE HUNDRED AND TWO fabulous 2016 grantees, review articles, interviews, infographics and so much more. This report is filled with groups and information you just can’t find anywhere else. Please enjoy and feel free to share widely! And don’t forget, this year we’re hoping to spread the love through resources more then ever. 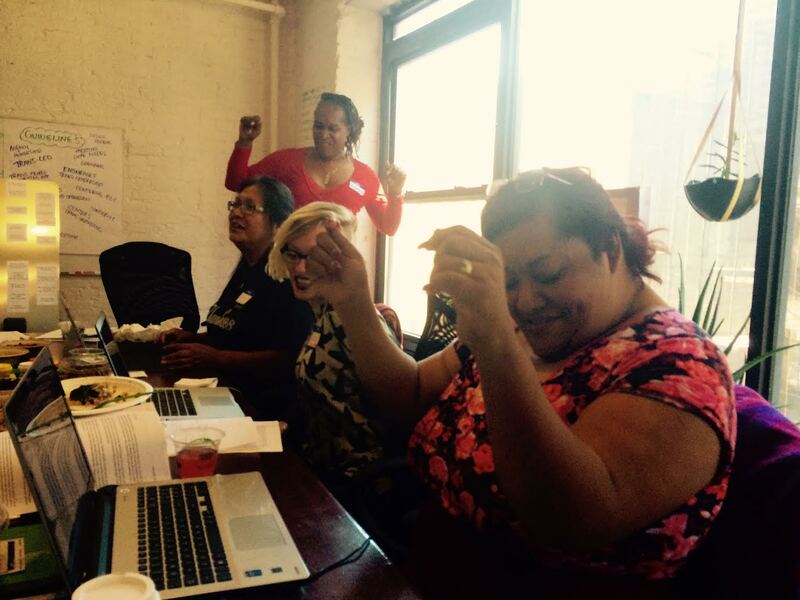 If you can, please make your donation today to help us raise 50K by 5/25 for trans justice! Even $1 matters! Comments Off on Our Journey Home, The TJFP 2016 Annual Report is out! One Hundred and Seventy Six. 176. That’s the unbelievable number of applications we received this year! TJFP’s 2015 grantmaking team feeling it! then ever before to our communities. able to do what some thought was impossible. 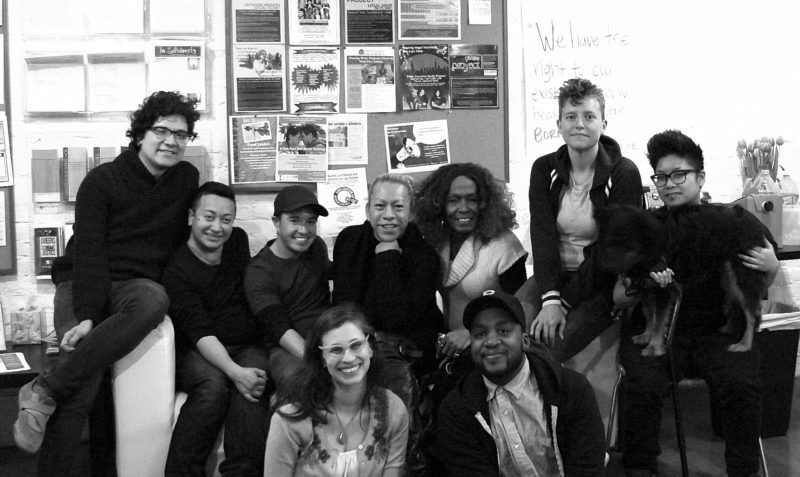 supporting, advocating, and fighting for trans justice and liberation. Please stay tuned, more exciting news is on the way! Comments Off on One Hundred and Seventy Six. 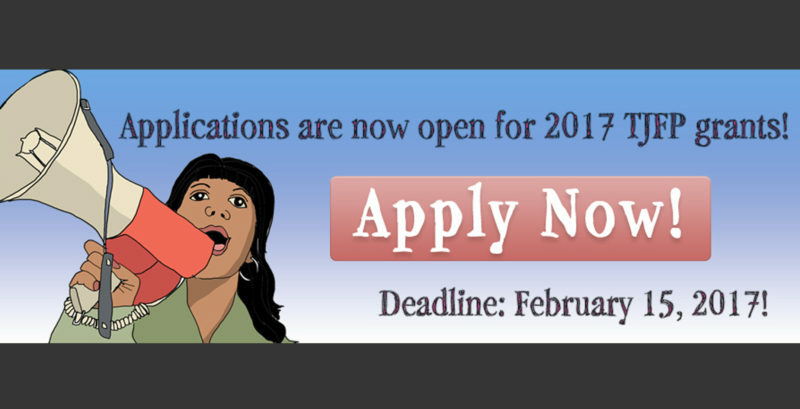 TJFP 2017 Application Deadline-Less then 2 weeks to apply! / ¡PFJT Fecha límite de solicitud-Menos de 2 semanas para aplicar! Please spread the word that our call for applications is less than two weeks away! Now is the time to apply or encourage others! ¿Es elegible tu grupo para una beca PFJT? ¿Es grupo comunitario de justicia trans dirigido por y para personas trans? ¿Es menos de $250,000 el presupuesto total de tu grupo? ¿Está ubicado en los Estados Unidos o en Puerto Rico? ¿Centran ustedes el liderazgo de personas trans organizando alrededor de sus experiencias con racismo, injusticia económica, trans-misoginia, capacitismo, inmigración, encarcelamiento, y otras opresiones que se cruzan? ¿Satisfacen las necesidades de comunidades locales diferentes y usan la organización y/o proveer servicios para ayudar a unirse personas? ¿Consideran su trabajo como una parte de una panorama general de trabajo dirigido por las personas trans que busca dignidad y justicia para todas personas? ¡No necesitas estatus sin ánimo de lucro 501c3, ni necesitas patrocinio fiscal tampoco para solicitar! Comments Off on TJFP 2017 Application Deadline-Less then 2 weeks to apply! / ¡PFJT Fecha límite de solicitud-Menos de 2 semanas para aplicar! We are tremendously saddened to share the passing of trans activist, Ms. Cheryl Courtney-Evans. Ms. Cheryl joined the TJFP team in 2013 as one of our very first community grant making panelists. 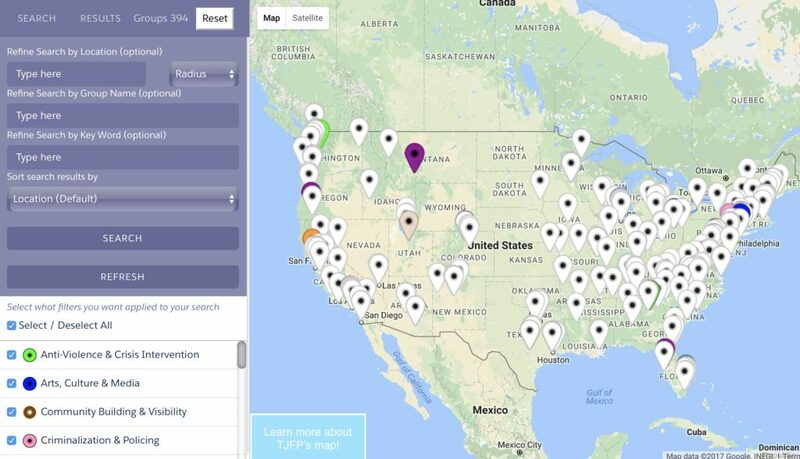 In 2014, TJFP interviewed her about the work of Trans Individuals Living Their Truth (TILTT). Ms. Cheryl’s vision and boldness is a gift to us all and it was absolutely critical that she was here. We survive because of her and TJFP will forever hold Ms. Cheryl in our hearts. 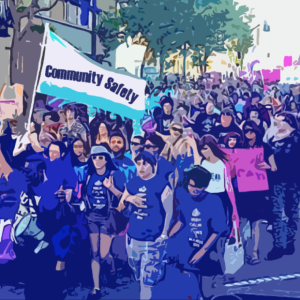 For those of us who are struggling with holding the complexities of grief, pain, and fear with a desire to stay close during such devestatingly violent times, here is a wonderfully smart article (in English and Spanish) offering thoughts and resources for community safety. Please read and share, Safety in the wake of Orlando — community, not police written by Collette Carter in coordination with the ACLU, The Audre Lorde Project, The New York City Anti-Violence Project, Mijente, Southerners On New Ground, National Lawyers Guild, Vision Change Win, BYP100, and Transgender Law Center. Just $2,800 away from our goal! Can you get us there? Thanks to so many of you we are now just $2,800 away from meeting fundraising goal of $25,ooo! Tomorrow our community funding panel will arrive in New York to meet to give money away. If we meet our goal by midnight tonight, the funding panel will be able to give away $200,000 to grass roots, trans-led, trans justice groups across the country. So this is your last change to give to this year’s fundraising campaign. It’s a powerful feeling to redistribute money and fund such import work so let’s raise $$$ we’ve never seen before! There’s no such thing as a donation too small because every $1 matters. Comments Off on Just $2,800 away from our goal! Can you get us there?